Kruger Park Safari is one of the largest wildlife sanctuaries in Africa. Located in South Africa, this park stretches across two provinces, Mpumalanga and Limpopo. Kruger National Park stretches 350km from the Limpopo River in the North to Sabie River in the south. This park was founded in 1898 with a range of two million hectares and estimated to be the size of Wales. 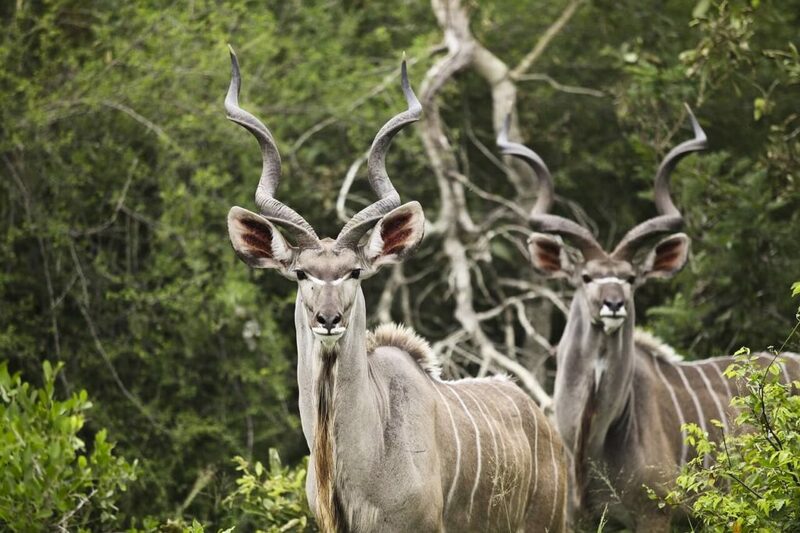 The Kruger Park Safari offers you the chance to experience and enjoy South African Safari. Known as the most well-known safari destinations in Africa, it is home to birds, mammals, and an enormous variety of plants. There are 517 different species of birds, such as Bateleur and Martial Eagle, the Tawny eagle, the African fish-eagle, and the African hawk-eagle. Birdwatchers will get the opportunities to see many of species depends on the time of the year. 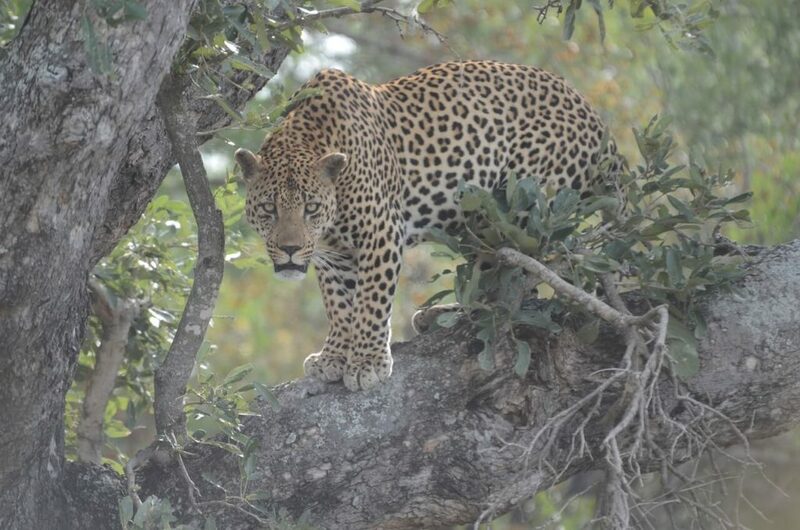 Besides birds, visitors can found 147 species of mammalian ranging from the Leopards, Lions, to the Spotted Hyenas. There are also 1.982 species of plant that live in Kruger National Park. The Park’s gates are open usually from 5:30 am to 6:00 pm around the year. The perfect time to visit Kruger Park Safari is during the winter season. Why winter? Because the safari during that period offers a unique viewing spectacle. The grass and the leaves are minimal that giving you a better chance to spot the exotic wildlife. Many birds occur in the winter months which means you can see many kinds of them. The worst time to visit is in autumn. You will find it hard to take a glimpse of the animals as the grass is dense and high then. The Kruger National Park is a place you can expect from a world-class holiday destination. It has complete facilities and accommodations for the visitors all around the world. You can find a bank and ATM inside each park and at some ATM’s at camp shops. On every rest camp you can see fuel station, internet café, and cell phone reception that makes you still connected. There is also a medical doctor and nearby hospitals for the case of emergencies. One of the most important things is to follow the rules that printed on entry permit. The South African Poice Service (SAPS) will crack down on those who don’t follow the rules. One thing should be on the note that the animals in the park are all completely wild and visitors are not allowed to approach them. Don’t ever leave the vehicle unless you are in a designated picnic or viewing spot. Make sure to keep the windows and doors locked when animals are nearby. At Kruger Park Safari, you can find the famous Big Five animals which are the lion, buffalo, elephant, leopard, and the rhino. The majestic African lion is one of the top game animals. Lion has always attracted the wildlife enthusiast and the hunters. 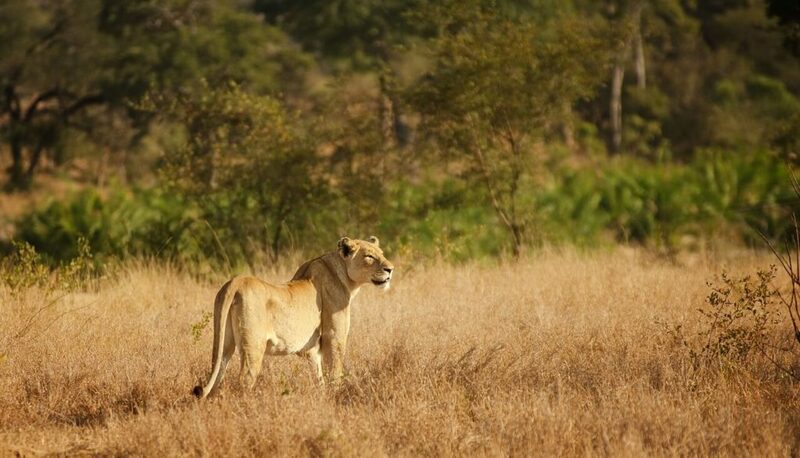 Visitors can see the lions in their natural habitat, watch them hunt and frolic, and listen to their roars fill the air as explore the park. The next big five is buffalo. One of the biggest attractions in Kruger National Park is cape buffalo. This species is extensive and impressive. You can find more than 25.000 cape buffalo in this park — the third, elephant. Elephants are one of the largest animals and most challenging to hunt. You will never forget the sight of the elephants in their natural habitat. You can find 12.000 elephants in Kruger Park Safari. Next, the leopard. These animals become one of the top big game animals in South Africa because of the danger, cunning, and the quickness. The population of these animals is around 1.000 leopards. The last one is rhinoceros. Kruger park features both of white rhinoceros and the rarer black variety. 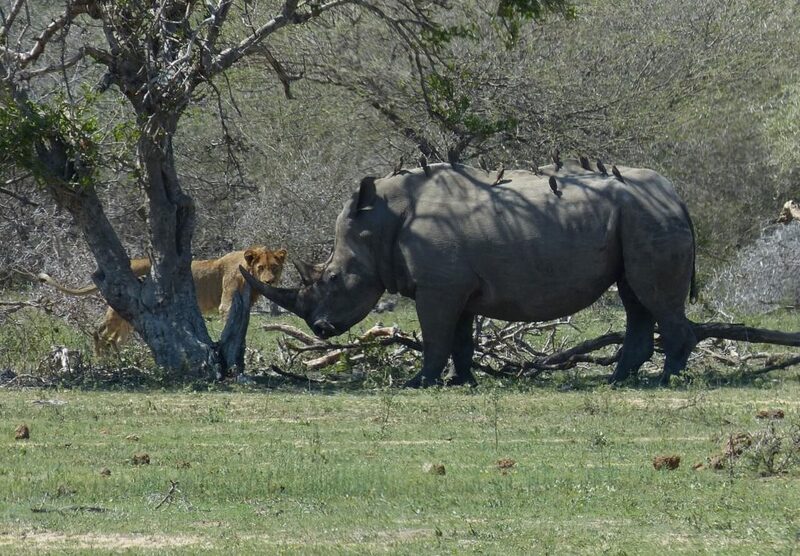 You can find about 300 to 400 black rhinoceros and more than 10.000 of white rhino. Besides the top five animals, visitors also can see crocodiles, impala, hippopotamus, cheetah, and blue wildebeest. 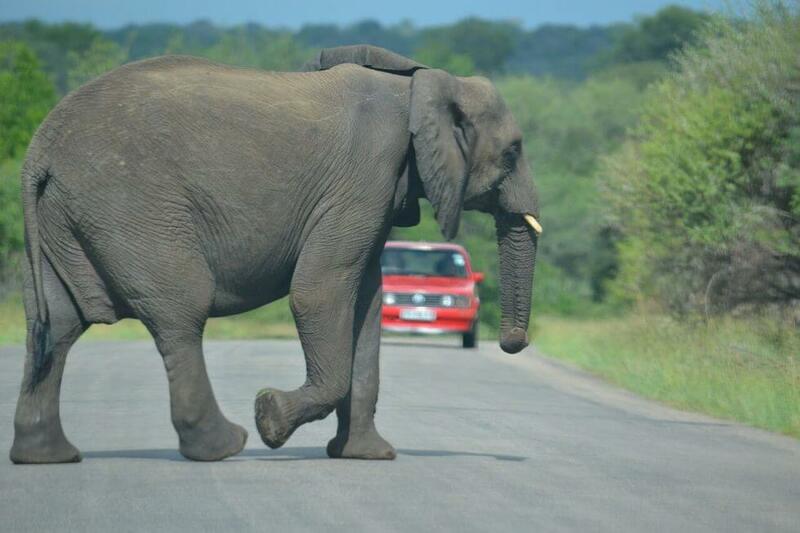 Before you start entering the Kruger Park Safari, there are some things you must pay attention. This park is situated in a malaria area, so make sure you take necessary precautions. The highest risk period is from November to April. Although there are some hospitals there, it’s better to be prepared and not to get infected. Besides, don’t forget to pack some things before you start exploring the park. You may need insect repellent, sunscreen, and a hat. Make sure to wear comfortable shoes and a windbreaker or warm jacket. You may need a map in case you want to explore all around the park or losing direction.